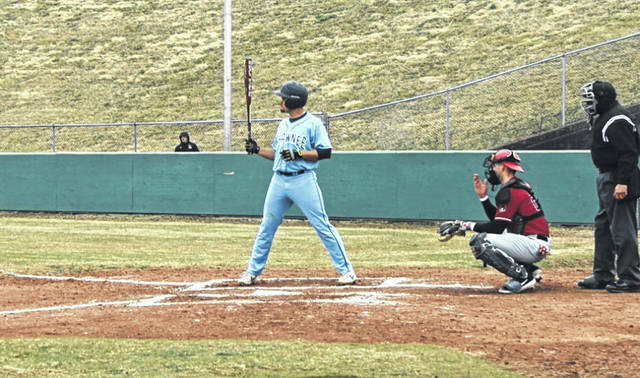 Lebanon, TN – The Bears were able to snap their losing streak and get their first conference win of the 2019 season Friday afternoon against the Phoenix. Ryan Lambert (FR/Greenup, Kentucky) was the Friday night starter for the Bears and would provide them with six innings allowing six runs on nine hits with one strikeout as well. Nick Kaiser (JR/Garrettsville, Ohio) would get the first call out of the pen for the Bears and would end up allowing two runs on three hits in his one inning relief effort. Marty Knittel (FR/Niles Township, Ohio) would be put into the game in relief in the eighth inning allowing one run on one hit with two strike outs as he would only go one inning in relief. Dalton Phillips (SR/Hastings, Michigan) would come into get the save for the Bears in the bottom half of the ninth inning as he would only allow one hit. The Bears would put on an offensive onslaught against the Phoenix Friday afternoon as they put up eleven runs on sixteen hits. The Bears offensive charge was led by Howie Rodriguez (FR/Orlando, Florida) who had a multi-hit game for the bears along with Ben Sellers (JR/Evansville, Indiana) and Alex Medina (SR/Miami, Florida) who both homered in the top half of the sixth inning and combined for six RBI’s. The Bears would go onto the top half of the ninth inning down by one run. Howie Rodriguez would get the rally started for the Bears with a lead off single. Blake Marshall (SR/Lexington, Kentucky) would come up next and reach on a sacrifice bunt that would be thrown into right field by the Phoenix advancing Rodriguez to third base and Marshall to second base to bring up Alex Medina. Medina would follow that up with sacrifice bunt of his own scoring Rodriguez and advancing Marshall to third base. Christian Helton (SR/Lexington, Kentucky) would then come up and smoke a sacrifice fly ball to deep left centerfield to bring home Marshall. The Bears last run would come when Cj Radcliff, the pinch runner for Medina, would score on an errant pickoff attempt to third base. That would be all the runs the Bears would need as they would go out the following half inning to shut down the Phoenix and pick up their first conference win of the season.